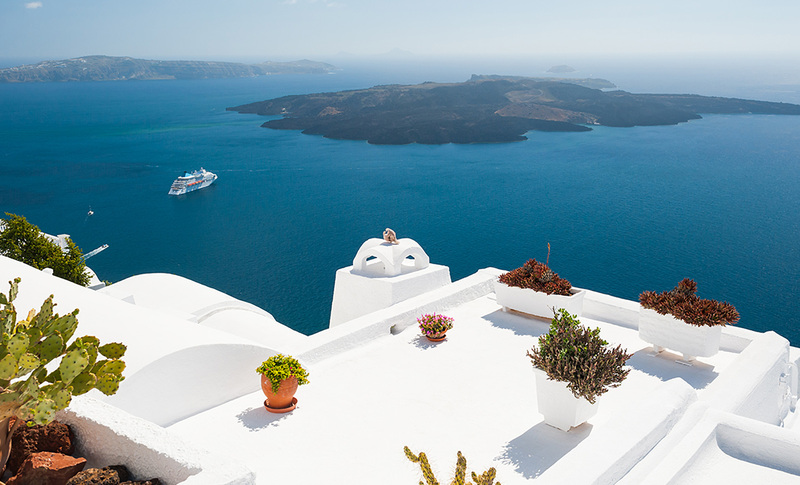 On arrival at Santorini, you will be greeted by your concierge, who will transfer you to your hotel. 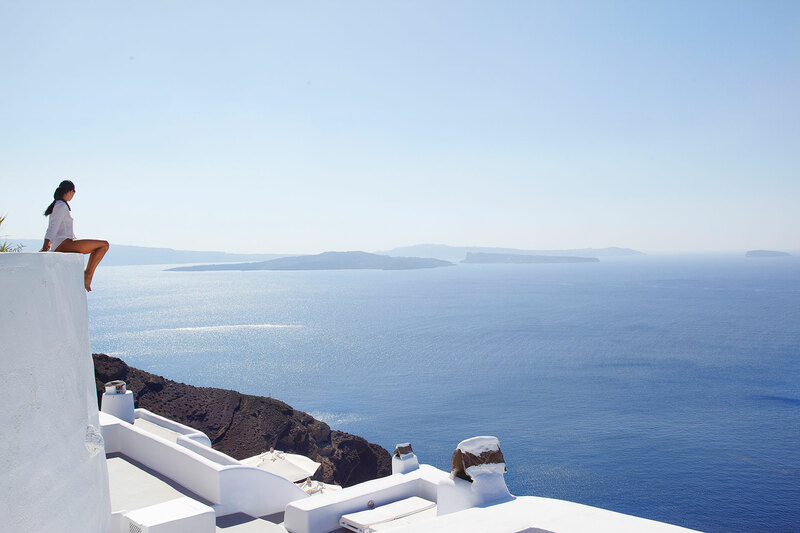 This is the jewel in the crown of all Greek Islands, a stunning vista of sheer cliff faces diving into the deep blue sea. 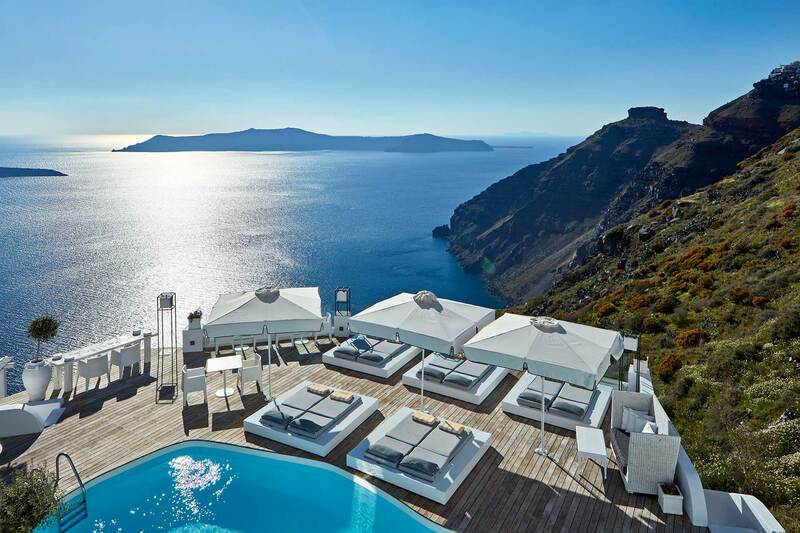 There is nothing to compare with the views and the sunsets you will witness as you watch the day go by from anywhere along the caldera. 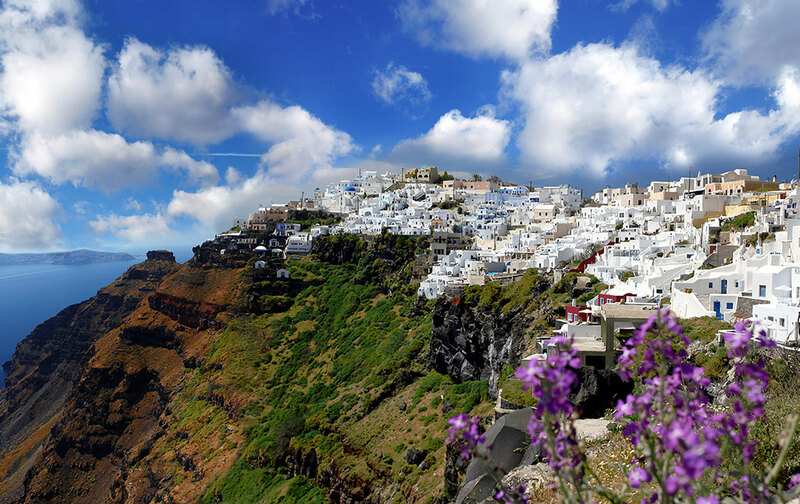 Once you have settled in to your hotel use this evening to head into Thira for a meal on the edge of the caldera, talking your dinner as the sun goes down. It will be an evening to remember. You have the next two days to do as you please. 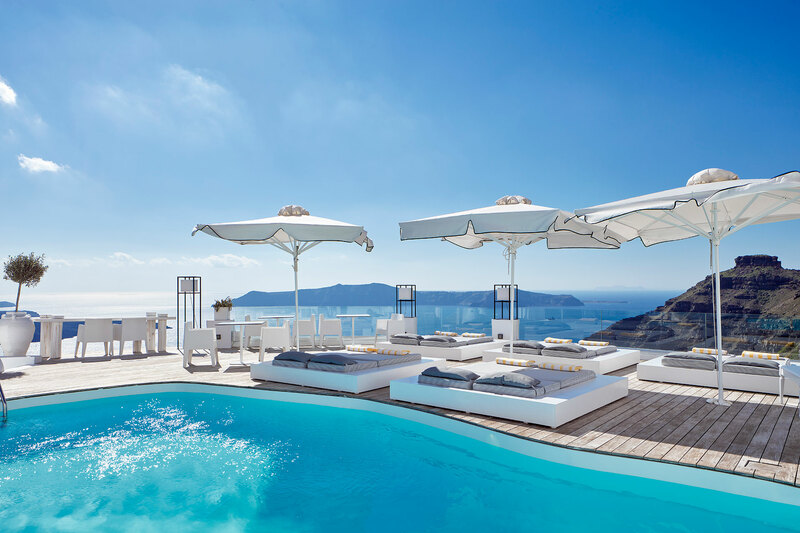 There is the very real possibility that you will not want to leave you hotel balcony and pool due to the spectacular view you have in front of you. 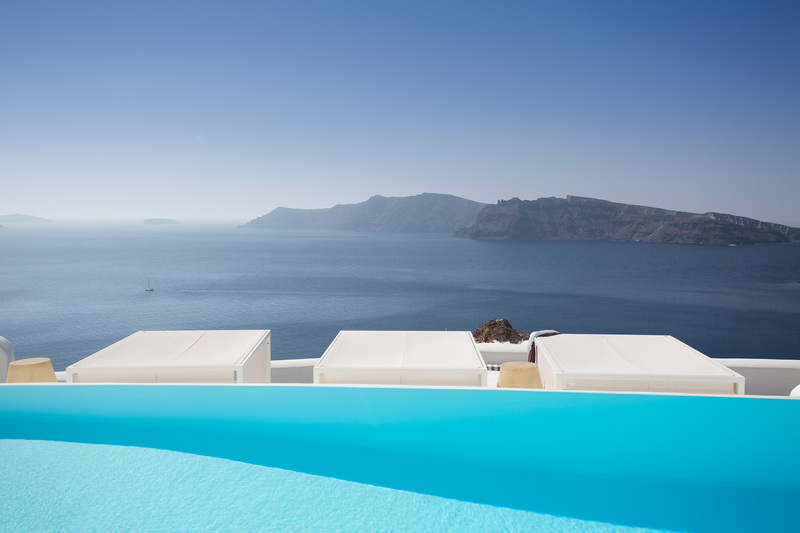 Santorini is the perfect place to relax, swim and look out over the Caldera during the day. 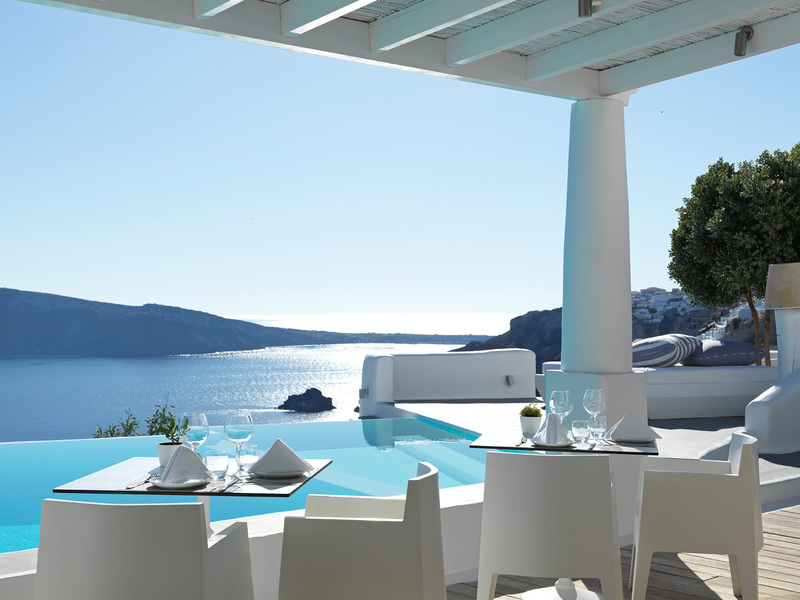 However, if you are a little more adventurous, after breakfast on your balcony, there is plenty to see and do. An amazing caldera sunset catamaran cruise with BBQ lunch cooked on board is the best way to end your trip! The island is filled with activities to inspire fun and romance. Your departure day! We will pick you up from your hotel and transfer you to the airport to catch your flight back home.